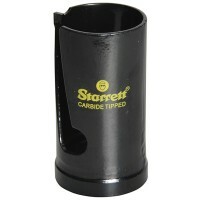 Starrett TCT Multi Purpose Holesaw Features Size 51mm / 2in. 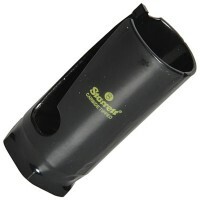 Deep cutting depth of ..
Starrett TCT Multi Purpose Holesaw Features Size 79mm / 3 1/8in. 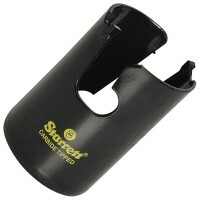 Deep cutting depth..
Starrett TCT Multi Purpose Holesaw Features Size 38mm / 1 1/2in. 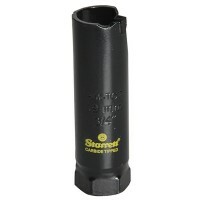 Deep cutting depth..
Starrett TCT Multi Purpose Holesaw Features Size 20mm / 25/32in. 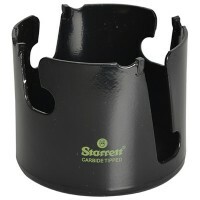 Deep cutting depth..
Starrett TCT Multi Purpose Holesaw Features Size 25mm / 1in. 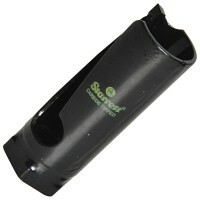 Deep cutting depth of ..
Starrett TCT Multi Purpose Holesaw Features Size 32mm / 1 1/4in. Deep cutting depth..
Starrett TCT Multi Purpose Holesaw Features Size 30mm / 1 3/16in. Deep cutting dept..
Starrett TCT Multi Purpose Holesaw Features Size 76mm / 3in. Deep cutting depth of ..
Starrett TCT Multi Purpose Holesaw Features Size 48mm / 1 7/8in. Deep cutting depth..
Starrett TCT Multi Purpose Holesaw Features Size 73mm / 2 7/8in. 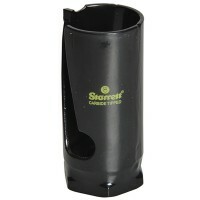 Deep cutting depth..
Starrett TCT Multi Purpose Holesaw Features Size 44mm / 1 3/4in. Deep cutting depth..
Starrett TCT Multi Purpose Holesaw Features Size 40mm / 1 9/16in. 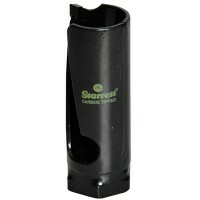 Deep cutting dept..
Starrett TCT Multi Purpose Holesaw Features Size 22mm / 7/8in. 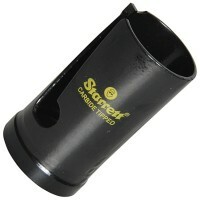 Deep cutting depth o..
Starrett TCT Multi Purpose Holesaw Features Size 35mm / 1 3/8in. Deep cutting depth..
Starrett TCT Multi Purpose Holesaw Features Size 27mm / 1 1/16in. Deep cutting dept..